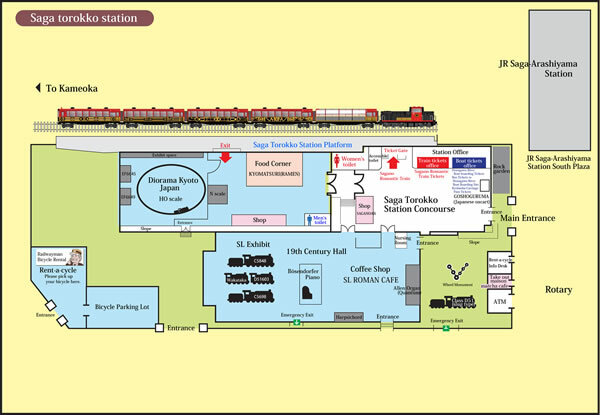 Located next door to the JR Sanin Main Line Saga-Arashiyama Station is the red-brick building of Saga torokko station. 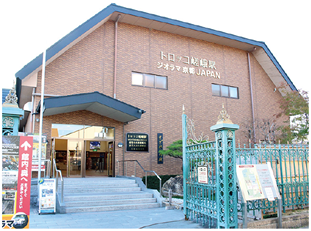 Inside you'll find places to purchase both Sagano Romantic train tickets and Hozugawa River Boat Ride tickets. Directly next to the entrance is the Steam Locomotive Plaza; in the rear are more locomotives and displays of 19th-century technologies in the 19th Century Hall. 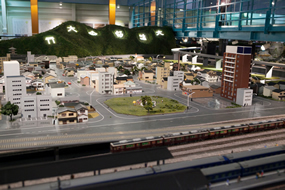 There's also Diorama Kyoto Japan, one of Japan's largest model railroad dioramas. Visitors traveling from Kameoka torokko station to the Hozugawa River Boat Ride boarding site are advised to carefully consult train schedules and access options (and the time required) from the station to the boarding site. The Railwayman Bicycle Rental Saga torokko station branch has three wheelchairs available for rental free of charge. Please inquire with staff at the rent-a-cycle shop. 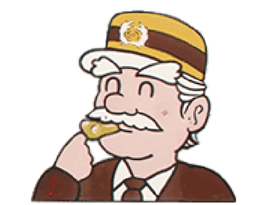 There is no customer parking lots at Saga torokko station. When visiting, please use JR West or other public transport. 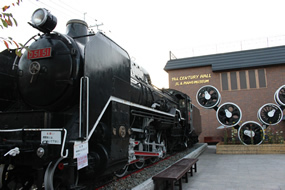 One of Japan's largest railroad diorama museums. Model trains run peacefully through miniature yet lifelike recreations of historic Kyoto sites. A variety of scenes are on display, making this an excellent stop for families and visitors of all ages. A themed hall representing the age of Japan's industrial revolution - the 19th century. You can see a steam locomotive, as well as the famous Bösendorfer grand piano as part of a display of 19th-century technologies. 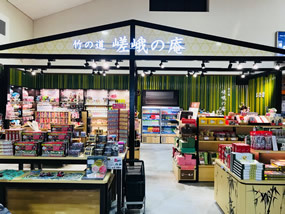 In the rest area in the rear of Saga torokko station, there is a shop selling original goods and toys.You can also get a bite to eat while you wait for your train. Stop by to create fun memories or pick up some souvenirs. A bicycle is the best way to explore Sagano and Arashiyama.You can rent one at Railwayman Bicycle Rental in front of Saga torokko station.